We are excited to announce the August Chicago Food Swap. The Swap will take place on Sunday August 26th at 3 pm. We have a new location this month, Green Home Experts in Oak Park. Green Home Experts is a one-stop shop for green lifestyle goods, sustainable home renovation products and eco-friendly gardening supplies. Green Home Experts beautiful new store at 811 South Boulevard will be the perfect site for our next event. But wait, there's more! 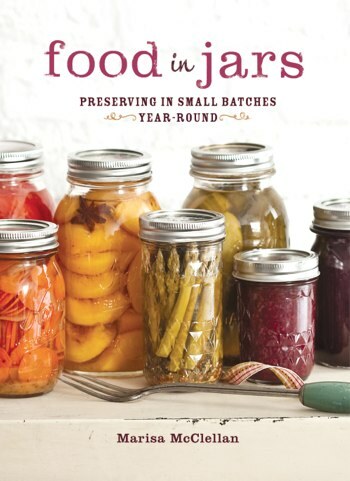 Chicago Food Swap is very excited to announce a special guest for the August event: award-winning food blogger Marisa McClellan of Food in Jars. Marisa, who is a founding member of Philly Swappers, will be joining us to talk about the locavore movement, home food preservation, and food swaps. And she will be signing copies of her new cookbook! As usual, space is limited, so register today. Registration is free. If registration is full, be sure to add your name to the waitlist. There are always last-minute cancellations. And if you are dying to meet Marisa, but cannot make the Swap on August 26th, do not despair. Marisa will be doing several events around Chicago that weekend, including canning demos and book signings.